While Facebook field complaints about fake news and inappropriate content here in the West, they're dealing with a plethora of other comparable issues elsewhere in the world. Every national government seems to have their own idea of what constitutes inappropriate content, and many of them are putting Facebook under ever greater pressure to dance to their tune. One particular nation is giving them a great deal of trouble at the moment: Myanmar. 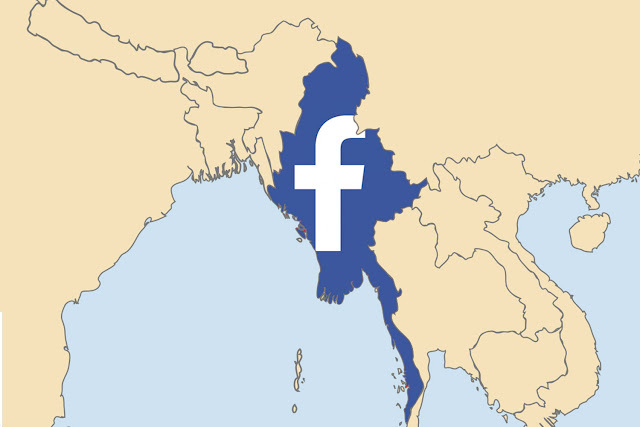 Since the regime change, internet usage in the recently renamed nation has been blossoming, and Facebook has reaped the benefits - there are now more than 10 million users in Myanmar. With that growth has come a huge influx of new content for them to govern, and that's where things have been difficult. In particular, they've found that many Burmese posts have contained derogatory complaints and statements about the Rohingya. The Rohingya are a native, largely Muslim group who have languished under ever-increasing persecution. In 2015, thousands of them fled to neighbouring nations but those who remained have been subjected to a military crackdown so brutal that some are beginning to refer to it as genocide. This hatred has been fuelled by racist propaganda, some of which has been spreading on Facebook. The company have been trying to pinpoint and blacklist certain terms in order to combat this, but in so doing they've also blocked posts with words which even vaguely relate to the blacklisted ones. As a result, a great deal of perfectly innocent content has been taken down. One of the most significant criticisms against Facebook has been that it's given a platform to extremists. Fake news is one thing, but hate speech can be used as a recruitment tool, and places like Myanmar which are already so rife with mass violence are particularly susceptible. Facebook moved into Myanmar very quickly in a bid to secure an emerging market, but they did so without considering the damage that a large scale social media platform could do during times of conflict, it would seem. Meanwhile, in the Philippines, Facebook have been employing young people as content moderators on a massive scale, and at very low wages. This not only undercuts their apparent faith in using machine learning to deal with the issue, but demonstrates a lack of concern for fair pay. This juxtaposition of corner cutting and wavering control is beginning to seriously compromise Facebook's integrity.